The Chevrolet Camaro has fallen from glory. After a five year reign over its U.S. sports car kingdom, the Camaro has been quickly usurped by the Ford Mustang—and then by the aging Dodge Challenger. Sales are decreasing by drastic amounts, and it doesn’t look like there’s going to be change in the near future. Things started changing around 2014. Trying to find new and innovative ways to stay on top of their game, Chevy opted to redesign the Camaro. People were interested, so why not class things up a bit? Surely, people will be willing to pay more money for a better performing car. It didn’t work. Ford quickly scooped up the customers who couldn’t make the jump up to the next rung of the pricing ladder, and Chevy has been suffering the consequences. This year, we’ve seen price cuts across the board in Camaro’s products. You’re likely to pay about $1000 less for a Camaro 1LS, 1LT, or 2LT as compared to last year’s price. And if you were one of the people who really liked the performance-oriented features, there are still going to be models that appeal to you. It’s just not going to be Chevy’s main marketing scheme anymore. But that just… doesn’t really matter. 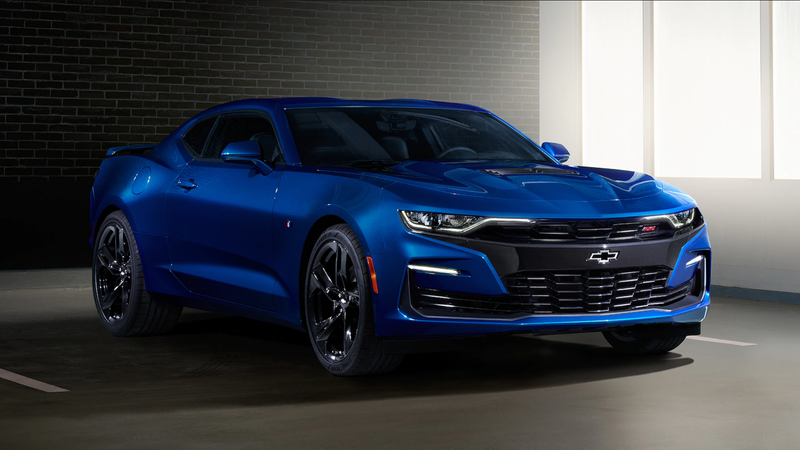 Karl Brauer, the executive publisher of Autotrader and Kelley Blue Book, said that the Camaro “just doesn’t have the personality that the other two cars offer.” That’s a pretty hard blow. The last thing you want to hear is that your sports car is just plain ol’ boring compared to everything else on the market. The 2.0 Turbo 1LE package is specifically intended to compete with Mustang’s EcoBoost, but at a handsome $30,000, it’s sitting at the higher end of the price range. More affordable, yes—but still pushing it. But Steve Majoros, car and crossover marketing director of Chevy, has another idea. He thinks the sheer volume of cars in the low-to-mid part of the sports car market means people are almost overwhelmed with options. The problem is, as per Brauer, the Camaro’s 2019 upgrades still didn’t address problems with visibility and styling, two big factors that have been a part of the reason potential buyers might set their sights on something else. It doesn’t seem like anyone really has an answer as to why Camaros aren’t selling, so we want to turn it over to you guys, the car fiends and car buyers of the world. You’re the people Chevy is trying—and, seemingly, failing—to market to. Where’s Camaro dropping the ball, and why are Mustangs picking up all the lost customers? What’s keeping you out of Chevy’s market? We here at Jalopnik want to know your perspective, the observations y’all make out there in the real world.